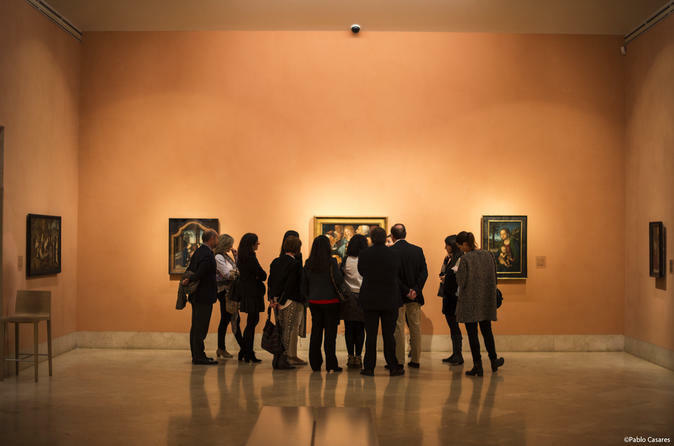 The Museo Nacional Thyssen-Bornemisza offers visitors an overview of art from the 13th century to the late 20th century. In the nearly one thousand works on display, visitors can contemplate the major periods and pictorial schools of western art such as the Renaissance, Mannerism, the Baroque, Rococo, Romanticism and the art of the 19th and 20th centuries up to Pop Art. The museum also features works from some movements not represented in state-owned collections, such as Impressionism, Fauvism, German Expressionism and the experimental avant-garde movements of the early 20th century. In addition, it boasts an important collection of 19th-century American painting not found in any other European museum institutions. Dürer, Raphael, Titian, Rubens, Rembrandt, Caravaggio, Manet, Renoir, Cézanne, Van Gogh, Gauguin, Kandinsky, Picasso, Hopper and Rothko are among the great masters of painting whose works fascinate and delight visitors. Of private origins, this international collection that now belongs to the Spanish nation introduces us to the remarkable tastes of its two principal creators: Baron Heinrich Thyssen-Bornemisza (1875-1947) and his son, Hans Heinrich Thyssen-Bornemisza (1921-2002). In contrast to the Spanish royal collections with their majestic works of art, a visit to this essentially private collection offers a delightfully intimate experience. In 2004 the Collection was joined by the Carmen Thyssen-Bornemisza Collection, consisting of more than 200 works on deposit with the Museum that complement the styles and genres already present in the Permanent Collection. Accessible, dynamic, ground-breaking, sustainable and with the highest standards of visitor services, the Museo Nacional Thyssen-Bornemisza focuses on all sectors of the public, particularly young people; Temporary exhibitions, concerts, live music, workshops, film and theatre together create a wide range of options aimed at all our visitors.